Greece's Minister of Foreign Affairs Nikos Kotzias wants to settle the name dispute with Macedonia in the first half of 2018, but his hopes might prove to be too ambitious, Kathimerini comments. Laying out the intentions of the Greek government to solve the row, Kotzias said name negotiations should be completed by mid-2018. “If it’s not, there will be major difficulties. If it gets resolved, it will then be a matter of three to four months of bureaucracy at the United Nations," he stated. "It would not be a good year to deal with issues of this nature because we shall be in the middle of election campaigning, whereas such issues must be dealt with in a calm atmosphere," the Minister noted. Kathimerini writes that no other Greek foreign minister has heralded the settlement of a national issue, 'so complex and delicate' in terms of local politics, or has outlined a time frame. 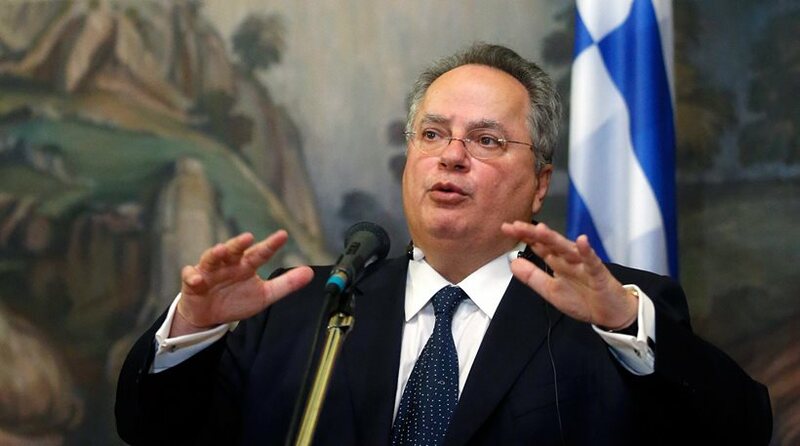 "Sure, Kotzias is better informed following his contacts with the new government in Skopje and, most importantly, following (Greek) Prime Minister Alexis Tsipras’s trip to the United States," the newspaper says in a comment. According to Kathimerini, more favorable conditions are in place for reaching a mutually acceptable solution. "Nikola Gruevski, a nationalist populist, is no longer a key player and the country’s new prime minister, Zoran Zaev, seems more pragmatic and flexible. The pressure from ethnic Albanians is growing and NATO and the European Union are keen to get Skopje under their umbrella – also due to the threat of Russian influence in the Balkans," it reports. "The signs from outside are good and, reasonably thinking, we should not waste yet another opportunity. At home, however, it is not certain that conditions are ripe for a compromise that will entail pain for both sides," Kathimerini concludes.